This is the website of the camp that my students and I had our outdoor education experience. You can see that they rely on donations for their operations budget. It is a very familiar set up that you would see at most summer camps. Several wood cabins, main lodge, shared bathroom, campfire pit, grass field, etc. 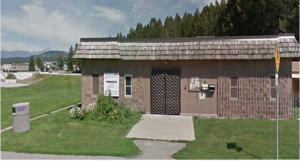 If you happen to live or teach near Williams Lake or 100 mile I highly recommend it. This is the sd27 resource package for teachers in sd27 who might want to take their students to Gavin Lake. I was rushed when I took my students. It was only a couple days notice that we had about going and I just went for it head first. It was really helpful to have this package when we went. I would have been lost without it. This is from my research into some of the theories that my field trip with my students to Gavin Lake based its activities on. I remember clearly my time with one of my groups at the water ecology activity where we were guided into learning about the environment at Gavin Lake. I was surprised at some of the knowledge that my students had at the life cycle of fish and other water animals. I wasn’t sure how much time they spend outdoors but clearly they have spent significant time camping and around nature. I can certainly see how valuable it is to allow children to spend time outside with their parents or elders learning about the environment. I suppose that urban aboriginal youth would be vulnerable to missing out on some of these experiences, thus all the more need to make them a priority. This flows from my last page into looking at the challenges that urban aboriginals are experiencing at the larger schools with more diverse populations. Although it did not contain what I was hoping for in terms of what programs are being offered to aboriginals for their education, it did provide some broader examples of programs that can work with all students. What was great about finding this article was how it was put into the perspective of learning through an aboriginal point of view. Western education has been imposed on aboriginals in Canada with the thought process being that the western way is the best and only way. It would be interesting in seeing an education system built around what was best for the students, not most convenient for parents and educators. I would imagine in this new student education system that significant time would be spent outdoors, for extended periods of time being taught how to hunt, fish, how nature works, the humans impact on the environment, etc. I imagine that this was the education system similar to the way aboriginal students were taught before the encroachment of western ideas. This was a bit of a combo search as I was doing some research into documentaries and this one stood out for being one of the first of its kind to use footage to successfully combine documentary footage with the art of storytelling in cinema. It’s interesting how some of the critiques about the film were how some of the scenes were staged a bit. But that is the magic of cinema. A director is free to capture anything they need to fulfill the intention of the story. Although some of the footage is staged, I don’t think it misrepresents the life or skills of “Nanook”. Next stop is one from the resources of the Forest and Nature School pdf. I was thinking about how the outdoor activities that we experienced at Gavin Lake Forest Education Centre were designed and set up. I was struck by how important this experience of going there must have been for my students. I can still vividly recall most of the trip, and I’m certain that my students have a better memory than I do. This pdf is a very clean resource book for people looking into for more information about outdoor school and the benefits that they provide for students. I was looking for the inclusion of the Gavin Lake Forest Society in the recommended programs at the back of the pdf. Not included. This is one of the recommended outdoor programs that is running in my school district, West Vancouver. I am curious to check it out as our district, and my school, has one of the highest household incomes in the province. It looks like a typical preschool/daycare program where they spend a lot of time outside, but maybe more focused on learning about the outdoors and nature. Its hard to say, there doesn’t seem to be a lot of information about what the kids do on a typical day. This is an article found on the Saplings webpage in their resources webpage. One of the points of the article is how youth spend a lot of time in structured environments, from schools to being shuttled to after school activities and the like, if they can afford them. I am happy to say that my kids don’t have a lot of activities after school and spend a lot of time outside with the kids in the neighbourhood, especially in the summer when the weather is nice. Working in West Vancouver I see a lot of students that look like they have been in structured activities or playing inside on their gaming devices. This is an article similar to the one above about how playing outside is extremely important to that mental health and well-being of youth. I’m going to relate this back to my time in Anahim Lake. The students there generally spent a lot of time outdoors, weather permitting. Even in the frozen cold of the winter they still found time to good outside. However considering the limited amount of daylight hours in the winter a lot of the daylight was wasted spent inside at school. Students would arrive at sunrise and go home at sunset. Students were to go outside at recess and lunch every day but it was only for a few minutes at time due to the -20 C °. Most of the students would go out on the weekends and play outdoor hockey, ride snowmobiles, or hunt. I decided to look a little inward at my actions in the past few years. I’ve been travelling for the past 8 years, essentially, a foreigner living in China, a tourist travelling through South East Asia and an expat visiting Canada. In the past couple months, while in Mexico, I’ve experienced some of the cultural relics the Americas are known for. In researching my final paper, I’ve decided to look into the impacts of tourism on indigenous cultures and have done so through comparison with Linda Smith’s book on decolonizing methodologies. While not focused on indigenous culture, most of the emerging tourism markets tend to be in areas with an indigenous presence. How does tourism impact their daily life and traditions? This site provides a solid overview of how tourism can effect local lifestyles both negative and positive though I chose to focus on drug tourism especially based on my visit to San Jose del Pacifico, a mecca for magic mushroom trippers. Peru is a hotbed for ayahuasca tourism with rich North American and Europeans flocking there to truly find themselves. Drug tourism seems on the rise in South America due to the popularity of ayahuasca but it is old hat in South East Asia where the fast money to be made catering to young, party-crazed backpackers has been advertised in full moon parties (a completely invented concept by some hippies in Indonesia that is now a distinct part of any Thai island’s calendar) and other abominations that could never happen in a more developed economy like the Laos river cruise. The ease of information access enables drug tourists to quickly find their next high. The influx of cash and people causes damage both to local ecosystems and culture. Even tourists keen for a cultural experience get watered-down experiences targeted to be real enough to attract the tourist but not at all authentic. Any one up for a Luau? One of my observations when I was teaching at a rural school with a large Aboriginal population of students was there connection with technology. I had made it a goal to increase the student’s access to computers in my classroom. So I gathered all the unused computers in the school and hooked them all up in the classroom. It gave the students an opportunity to access technology that they didn’t have at home. Most homes did not have the Internet, and therefore very few had computers. The only Internet people could get in town that was public was by siphoning the data from the school, the band store or the public library (which was a trailer opened 2 days a week). Indigenous peoples have been amazingly adaptive and creative with new media technologies, applying them to their own lifeways and maintaining cultural boundaries rather than simply assimilating into the dominant social order. Communities that survived the cataclysmic forces of colonization are now telling their stories and constructing new forms of cultural power in the digital age. 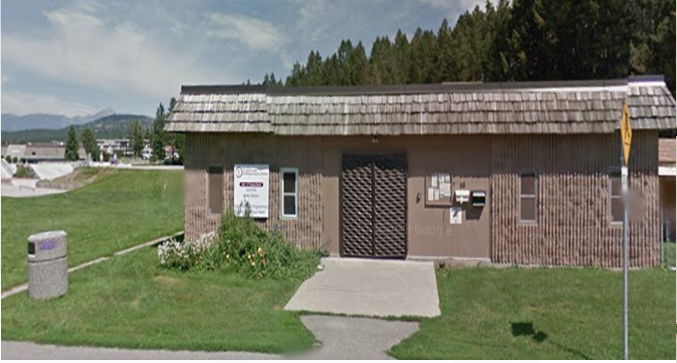 The previous article talked about a seminar that Buffy Sainte-Marie conducted and I head to check her out. I heard of her before when I was teaching in Anahim Lake and she was visiting a town nearby. I never got to go to her event but it looks like it would have been very educational. I had no idea she had won an Academy Award for her song writing. Sainte-Marie helped found the Cradleboard project and to be honest I have never heard of it before. Lots of great teaching resources can be found here. Although I am having problems with accessing the web page. If I was still teaching elementary students this would be very usable for me. I had really wanted to tie what I was learning with what I had experienced with my teaching experience in Anahim Lake. I took my students on a field trip to an outdoor education camp and we had a great time. This podcast from the CBC show Unreserved covered a lot of things that I experienced with my students. Looks like the end of the journey. I had tried to do more research on Tasha Spillett but I think I’m at a dead end. There isn’t a lot here to go but I will pick up the trail another time. Upon finishing my research paper and reconfirming deadlines, I realized that the final blogpost was due November 21st, not December 4th as I had thought. Therefore I apologize for the tardiness of this post, but it includes some very useful websites pertaining to Malaysia’s Oran Asli, the topic of my paper. For anyone looking into information concerning the issues surrounding the Indigenous people of Peninsular Malaysia, these sites are great resources. They also show how the Orang Asli are utilizing technology as a platform for advocacy. This is the official website for the Center of Orang Asli Concerns. A great website to learn about who the Orang Asli are and the issues that they face. I believe that the site was set up by Colin Nicholas, one of the leading academics in Orang Asli studies. He has written a lot about Orang Asli history on the site and the site also includes up to date news, articles as well as publications about Malaysia’s Orang Asli. This is the website for the Indigenous Peoples Network of Malaysia (Jaringan Orang Asal Se-Malaysia in the Malay language) which is an umbrella group for 21 organizations that focus on issues related to Malaysia’s Indigenous peoples. This group advocates for all of Malaysia’s Indigenous groups and also represents them nationally and internationally as well. Unfortunately the site doesn’t look like it has been updated for a while, but has a lot of information about Indigenous issues in Malaysia written in both English and Malay. After doing my research I learned that the primary way in which the Orang Asli community communicates amongst themselves and to the outside world through the internet was with the use of blogs. This blog is dedicated to issues related to women in Southeast Asian communities. This page deals with female activists in the Orang Asli community and details how a capacity building workshop has helped train these women on technology which has allowed them to tell digital stories and create advocacy videos to raise awareness of the issues they face. A couple of the videos can also be viewed here. This is an article from the Indigenous Voices of Asia website that details how Orang Asli groups are using technology like social media to make their grievances known. This article features how a workshop conducted amongst Orang Asli villagers has helped them learn how to document their grievances and highlight their plight using social media. Using technology, these communities now have a way to fight back against government agencies who claim that their villages are operating problem-free. This post is a video of a Temiar community, one of the 19 Indigenous groups that constitute Malaysia’s Orang Asli. In this video we can see how the Temiar people connect to the land around them and utilize the land harmoniously, as is the case with most of the world’s Indigenous people. The video also shows a Temiar ceremony with song and dance and highlights some of the cultural rituals of the group. Paatsaalit High School demonstrates how the school and broader community are involved in the well being of students and community members. Explore the achieve to view images of life in a northern school. Jaanimmarik regularly blogs about the events and activities at the school. The living culture is present in the photos within themes that are present in many schools across Canada (i.e. prom, picnics). This site is a hub of local Inuit knowledge, the project has videos and information on a variety about Elders, clothes, language, and a bank of images on variety of topics. The History Museum of Canada also has an online exhibit on the Gwich’in. This research project seeks to understand Inuit knowledge and climate change. There website is rich with information on northern food security and generational knowledge sharing. This site also links to ISUMA TV and videos recorded for the project. Nanisiniq project brings together elders and youth to preserve Inuit Knowledge. Youth capture elder stories through video and technology. I found this article very interesting regarding the emotional aspect of education among Aboriginal students. Kana‘iaupuni, S., Ledward, B., Jensen, U., (2010) explains “[f]irst, culture-based education (CBE) positively impacts student socio-emotional well-being.” Which is will be part of my research regarding the emotional impact education has among Indigeous people. As well, the study indicated that students using their method “are more likely to have strong community ties as exemplified by working to protect the local environment and attending public meetings about community affairs.” In order for me to attempt to tie together the social aspect (i.e. social media) and the emotional aspect among First Nations, its important to find more studies that are relevant. It has been difficult for me to try find more recent data since this study was conducted in 2010. The concerns I am having is the rate of evolution for technology. It is a great thing that every 6 months, we are having a new idea or a new piece of technology to assist educators. But at that rate, how can anyone have a full understanding of the effects or defects of that medium. I found this website helpful for me to attempt to categorize the type of emotions students have. Pekun, R, (2009) noted that there are “[t]wo distinct ways of describing emotions are provided by categorical and dimensional approaches.” His definitions are very similar to that of Dr. Brown from our readings. Pekun, R. states that “categorical approaches, qualitatively different types of discrete emotions are differentiated, such as enjoyment, anger, anxiety, or boredom.” Where as, “the dimensional approach, a small number of dimensions are held to be sufficient to describe human emotion.” He identifies those dimensional valance and activation. Despite the lack of relationship for Indigenous people, I think that if we understand emotion not only for Aboriginal children, but all children in the educational world. This website explains that emotion, when positive, will provide a positive outcome regarding the educators approach. Considering how generic that ideology is, it would be extremely difficult for any educator to always be positive when the students understanding of positive would differ. For example, as in Dr. Brow explanation, reprimanding aboriginal children for sharing their knowledge during a test would go against the cultural training that it takes a community to answer. However, this article does help supplement that emotion is a big factor for children and students. How would I apply that? How does that affect the socio-emotional being of indigenous children? One point that I thought was relevant was the article “The Emotional Toll of Social Media.” This article does take a more negative note of the impact social media has on society. The author (n.d.) states “[m]any social media users say that they feel a sense of inadequacy because they subconsciously compare themselves to the people that show up in their streams.” What I question with the author is their statement that “most people do not put up the good and bad on their social media outlets. Therefore, these outlets are portraying an idealistic image that doesn’t really exist.” I wanted to address people like the first Native America beauty model. The better aspect of her social media attention is that she is the First native woman to become Mrs. Universe. She can help other young native women aspire to become more in themselves. The negative aspect, (as noted by the article) is that it could create an unrealistic view of what a Native woman should look like. Many of my fellow students understand there are many variations of indigenous people. Some wear beaded garments, others use Deer skin, hair hats, straw-hats, sheep wool, and many other variations. So, would we be forcing a single ideal of a native culture onto the majority indigenous population with the help of social media? More questions, I’m hoping to address. If I apply that specifically to Indigenous people, I would think this would drastically change (or alter) the view of technology and education that uses technology as a medium. Ultimately, I’m hoping to connect emotional well being being impacted by social media. Which would (or could) affect educators that intend to use technology as a medium. I think this will be especially pertinent to touch on when dealing with the topic of Residential Schools and which rights they violated. 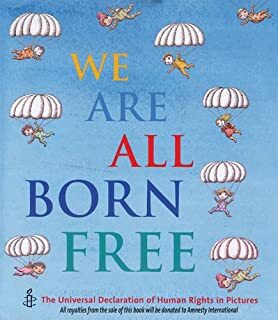 Some children will be influenced by the wording in these rights, but many will be affected by the pictures detailed in these books. Strong, healthy citizens and communities, speaking our languages and celebrating who we are and our history in our ancestral homelands, working together, managing our lands and resources, within a self-sufficient, self-governing Nation. It is important to be aware of local services available in our own communities. A colleague at my school has been making mittens out of recycled sweaters and her proceeds from selling these are going to the Street Angels. Our students are going to be involved in this project to help give back to our community and grow a connection to the services available. This resource was developed by the First Nations Education Steering Committee. With specific primary resources, units include All About Me, Gifts from the Earth, Stories of the Seasons, Our Animal Neighbours, The Spirit of Celebration, The Power of Stories, Making Our Ancestors Proud, and Stories from the Sky. This authentic resource with Aboriginal content also contains a link to a resource guide listing more authentic resources available on these topics. In addition, this resource contains contact information for teachers to connect with local Aboriginal contacts. There are many tips throughout this resource that will help guide teachers through the content while maintaining respect and authenticity. This link is the link to resources I obtained from a conference I attended this weekend. 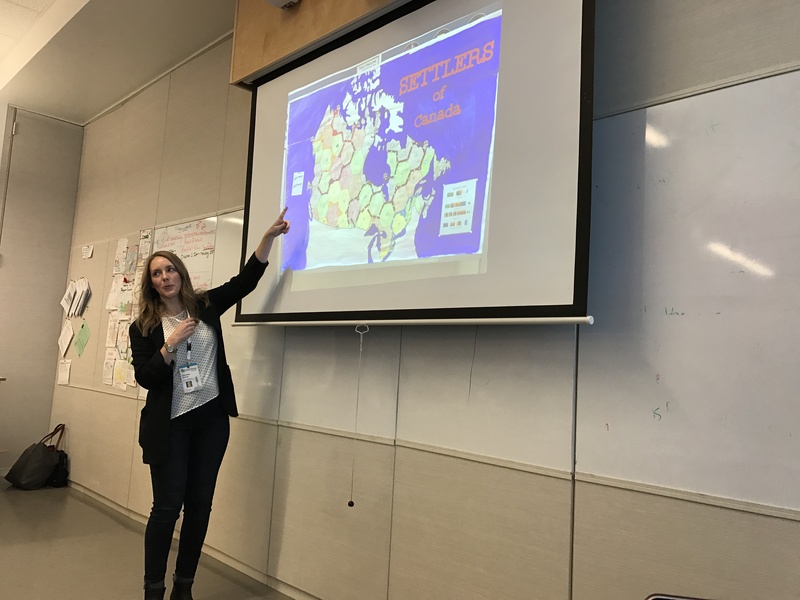 This presentation was based on an inquiry project that the presenter engaged with her students and schools on Aboriginal topics. 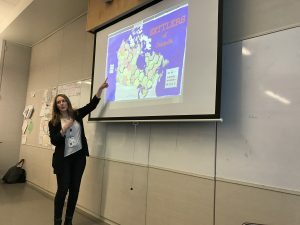 Their inquiry project included educating intermediate students using concepts of indigenous knowledge and history in BC’s new redesigned curriculum. Students were put into multi-age and multi-class groups of 5-6 students. Together they created a field notebook and engaged with material containing Aboriginal content. In this notebook students would record images, connections, feelings, and emotions to the content they were learning. Next, students developed deep questions and decided on an inquiry project of interest and meaningful to them. The end result of this project was a museum and community event in their gym with project information on display. I really connected to the format of this inquiry project and hope to try it out with my own students soon. This website was designed by teachers to educate students on authentic sources and research on the internet. The website design appears to be a legitimate place to find information about various explorers including Christopher Columbus, Samuel de Champlain, Jacques Cartier, John Cabot, and more. Selecting an explorer takes the viewer to a page of information. At first glance and scanning through much of the information appears to be accurate. However, open a closer read you will encounter some outlandish claims such as Samuel de Champlain founding the Quebecois nordique NHL and Christopher Columbus being fascinated by laptops and cell phones of the First Nations people he encountered. The purpose of this site is to show students how easily one can be misled with information on the internet. I think this will be important for me to use when doing any research projects with my students that includes online research. Here again, a compilation of useful websites that address different perspectives on indigenous peoples and mining. I should have posted this website way earlier. Idle No More calls on all people to join in a peaceful revolution, to honour Indigenous sovereignty, and to protect the land and water. Idle No More has quickly become one of the largest Indigenous mass movements in Canadian history – sparking hundreds of teach-ins, rallies, and protests across Turtle Island and beyond. What began as a series of teach-ins throughout Saskatchewan to protest impending parliamentary bills that will erode Indigenous sovereignty and environmental protections, has now changed the social and political landscape of Canada. Good website with lots of resources. Cultural Survival advocates for Indigenous Peoples rights and supports Indigenous communities’ self-determination, cultures and political resilience, since 1972. This organization has worked with Indigenous communities in Asia, Africa, South America, North America, and Australia, becoming the leading US-based organization defending the rights of Indigenous Peoples around the world. Cultural Survival envisions a future that respects and honours Indigenous Peoples inherent rights and dynamic cultures, deeply and richly interwoven in lands, languages, spiritual traditions, and artistic expression, rooted in self-determination and self-governance. Another good website with lots of resources. Fair Mining Collaborative joins with First Nations people and local communities in British Columbia in the quest to shape the future for families, land, water, and wildlife. Fair Mining Collaborative provides technical and practical assistance around the issues and impacts of mining. They spend time in communities to provide two-way knowledge sharing for strengthening local capacity to manage the full spectrum of mining concerns: mapping traditional resource inventories and raising awareness of social impacts; staking, permitting, exploration; and operation, closure and reclamation. IIED (International Institute for Environment and Development) is a policy and action research organisation, that promote sustainable development to improve livelihoods and protect the environments on which these livelihoods are built. They specialise in linking local priorities to global challenges. IIED is based in London and works in Africa, Asia, Latin America, the Middle East and the Pacific, with some of the world’s most vulnerable people. IIED’s dialogue programme for artisanal and small-scale mining enables a wide range of stakeholders to come together and collaborate on empowering miners, improving governance and delivering a safer, more secure working environment. Indigenous Peoples and the Sustainable Development Goals, a short video from the United Nations. They asked indigenous representatives at a recent United Nations forum why the Global Goals matter. I included this one because it present original voices in the topic of sustainability. 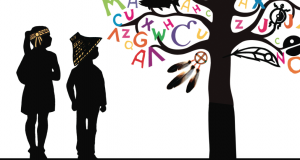 This website showcases stories and poems written by Aboriginal youth from across Canada. Each year Aboriginal Arts and Stories, holds a contest inviting youth to write about their experiences whether they are fiction or non-fiction. 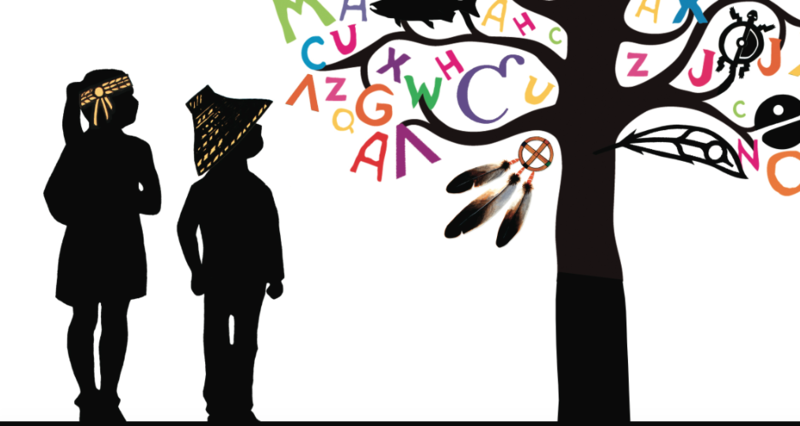 If you teach Aboriginal youth, you should think about submitting their work to this contest. You could also invite students to read the pieces that are featured. One year, one of my student’s from Kahnawake made the top 10 in her age category. Suicide is now seen as contagious, the good news is that prevention is also seen as contagious. Many Native communities are turning to the #WeNeedYouHere hashtag to spread awareness about how much an individual will be missed if they commit suicide. We R Native, is a website that was started in 2012 by Native youth for Native youth. The site contains a plethora of Health and Wellness information, as well as an “Ask Auntie” page in which youth can ask “Auntie” questions ranging from sexuality to mental health. This photo series focuses on life on the Indian reservation . This reservation is the location of the largest gathering of Native Americans in over 100 years. Indigenous people from across the United States and Canada are living in camps on the Standing Rock reservation, they are there to protest the creation of a new oil pipeline that will run through their reservation, not only causing destruction to the land but also destroying their lives forever.